The Boston Police have issued a community alert for the Mission Hill area. TUPD is passing on this alert in its entirety so that all Tufts University SMFA Boston campus community members are aware. At about 1:38 PM on Saturday October 8, 2016, officers assigned to District B-2 (Roxbury) responded to a call for an attempted sexual assault in the area of the Kevin W. Fitzgerald Park on Saint Alphonsus Street in Mission Hill. On arrival, officers spoke with the adult female victim who stated that a male suspect approached her from behind on foot, threw her to the ground and attempted to sexually assault her before fleeing the area. 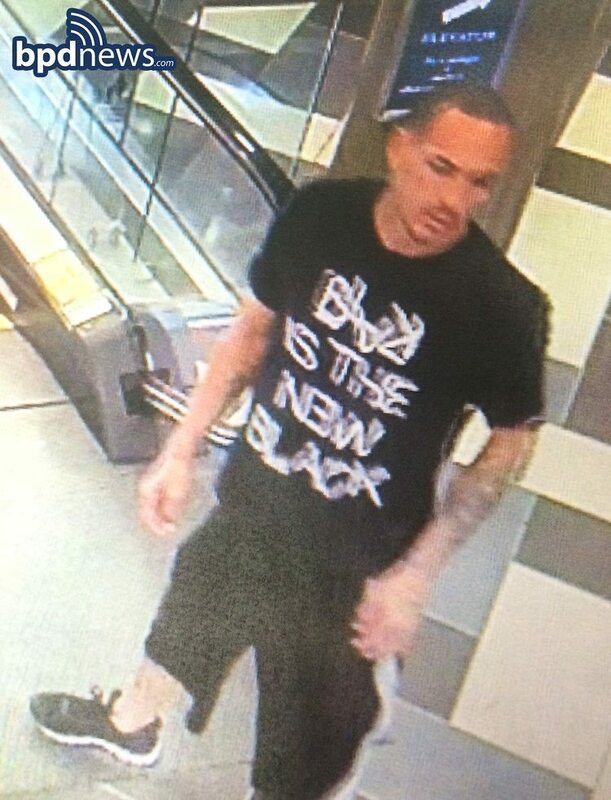 The suspect (shown in the image) is described as an Hispanic male in his late 20’s, approximately 5”8,slim build, a goatee, black hair in a ponytail, with tattoos on both arms wearing black and white sneakers, black shorts and a black T-shirt with white lettering. The suspect was later observed riding a Rincon model Giant brand mountain bike towards Huntington Avenue. ¨ Utilize the SafeRide service on the SMFA at Tufts campus by using the LYFT APP. Boston Health Sciences campus can dial Tufts Police at (617) 636-6610 from off-campus or cell phone or from a campus phone dial X-66610. From the Medford/Somerville campus can dial (617) 627-3030 from off campus or from a campus phone dial X73030. ¨ Program the Tufts Police into your cell phone so you will be prepared in an emergency (617-627-6911). ¨ Anyone with any information is asked to call Boston detectives directly at (617) 343-4400. Community members wanting to assist this investigation anonymously can do so by calling the CrimeStoppers Tip Line at 1(800)494-TIPS or by texting the word ‘TIP’ to CRIME (27463) or you can contact the Tufts Police as soon as possible at 617-636-6610 from off-campus or a cell phone. From the Boston Health Sciences or Medford/Somerville campus phone dial X-66610.